The best part of the holidays for me is the after-Christmas sales. Or after-Hanukkah sales in the case of Tags hardware store in Porter Square. 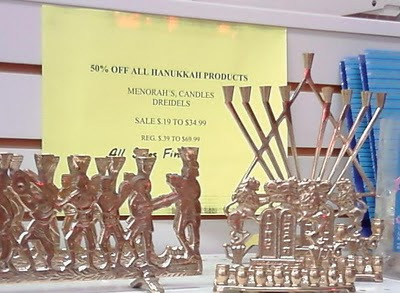 It's a little odd that they screwed up menorah's but not the other Hanukkah products. I love you anyway, Tags.